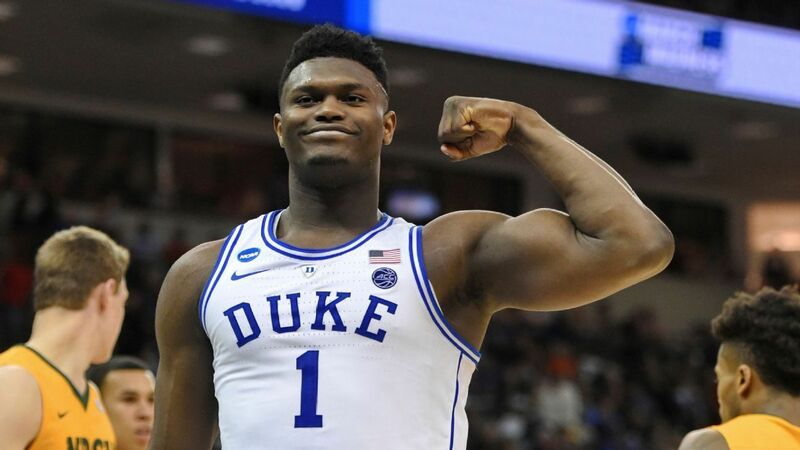 Duke freshman Zion Williamson, the consensus player of the year, made it Monday's official, declaring his eligibility for the NBA draft. Widely expected to be the top overall pick in the June draft, Williamson made his announcement on Instagram, saying it was the "best years" of his life and thanked those who helped to fulfill his dream. 6-foot-7, 285-pound Williamson has acquired all college basketball in his fabulous, One-generation athleticism, his energy at both ends of the floor and his omnipresent charisma. Williamson, 18, averaged 22.6 points and 8.9 rebounds per game while ranking the second country by shooting 68 percent. He recommends No. 1 prospect in ESPN rank. He won the Wooden Award, the Naismith Award and was named the year of the Associated Press and the US Basketball Writers Association. On May 14, the NBA will hold the lottery to determine which team has the right to draft him . Williamson's decision to be pro is no surprise. In fact, he spent the NBA chatter season greeting in a playful wink and a nod of knowing. During his solo college, he helped the Blue Devils earn No. 1 ranking in the final AP Top 25 and the top overall seed in the NCAA Tournament. Duke has been knocked out of Michigan State in the East Regional finals. Now that he has gone to the NBA, a key subplot followed is where the sneaker company will end his endorsement. In one of the signature moments of the season, Williamson returned his left Nike shoes, PG 2.5, the Oklahoma City star Paul George's signature shoe and lowered his right knee by opening the minute what became a loss of home loss to the rival North Carolina. The effect is The instant stock price of Nike reached the next day, and the shoe company sent a team of campus representatives to investigate. When Williamson returned nearly three weeks later for the ACC Tournament, he wore a pair of 15 Nikes modified from Irving's signature line. Williamson joined RJ Barrett and Cam Reddish as classmates who went to pros after a season. Guard guard Tre Jones said he would return to school for his sophomore year.